XIAOMI announced the launch of Redmi Note 7 on March 19 in Malaysia. The Redmi Note 7 is the latest smartphone in the Redmi Note series. 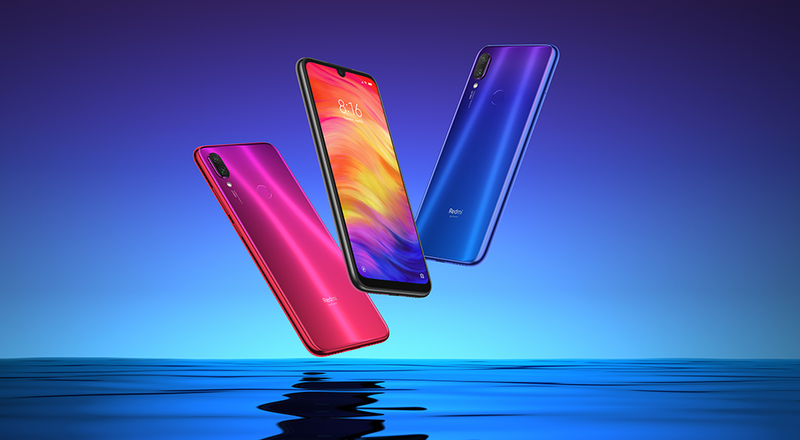 Redmi Note 7 continues the series’ tradition of featuring a large display and excellent battery life, and pushes smartphone photography to a new level in this price range. Redmi Note 7 will be available from March 27, 2019, starting from RM679 in Malaysia. At the same time, Xiaomi also announced the launch of the Redmi 7. “From day one, our philosophy has always been to provide high quality smartphones with very attractive prices to everyone from all walks of life. We want to offer everyone the opportunity to experience the latest mobile technology. “The Redmi Note series is the main driving force behind that philosophy and we are excited to announce that, with the launch of Redmi Note 7 in Malaysia, it will continue this very important tradition,” said Malaysia and Singapore country manager Allen An. 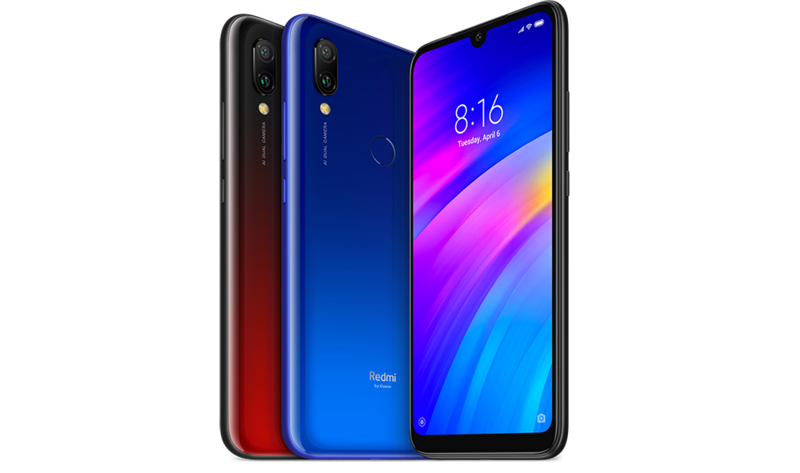 Redmi Note 7 marks the greatest shift in design in the series, sporting a new premium style with the front and rear covered in Corning Gorilla Glass 5. The 19.5:9 Dot Drop display measures 6.3 inches diagonally and has a FHD+ resolution of 2380 x 1080. The Redmi Note 7 screen's high pixel density and accurate colours (84% NTSC color gamut) are said to offer one of the finest visual experiences in its class. On the back, Redmi Note 7 sports the Samsung Isocell Bright GM1 backside illuminated CMOS sensor that has 48 million physical pixels. When taking pictures, the sensor uses Samsung’s Tetracell technology that merges four pixels to work as one large 1.6μm pixel. This is said to increase light sensitivity and make the resulting 12MP image much brighter and clearer, even in low-light conditions. Furthermore, Xiaomi couples Redmi Note 7’s cameras with the latest AI features, including the night mode photography feature that was introduced along with Xiaomi’s flagship Mi MIX 3, as well as AI scene detection, AI beautify and AI portraits. Redmi Note 7 is powered by the Qualcomm Snapdragon 660 AIE SoC, with a 2.2GHz maximum clock speed. Redmi Note 7 carries on the Redmi tradition of a good battery life with its large 4000mAh battery, which is said to last over a day for almost all users. Recharge via the USB Type-C port, and enjoy shorter charging times thanks to support for Qualcomm Quick Charge 4. Redmi Note 7 features Gorilla Glass 5 on the front and back, making it less vulnerable to damage from drops. Corners on the chassis are also reinforced, further improving durability. In addition, buttons and ports come with watertight seals to lessen the impact of accidental splashes that may occur in everyday use. Redmi Note 7 will be available in three versions. The 3GB+32GB version (A Lazada exclusive) will retail for RM 679, the 4GB+64GB version will retail for RM799 and the 4GB+128GB version will retail for RM949. All variants will be available at Mi stores, Lazada and Shopee on March 27, 2019 and will come in three different colours: Space Black, Neptune Blue, and Nebula Red. Also, for the first time, Redmi Note 7 will be covered under an 18-month warranty. Redmi 7 is powered by the Qualcomm Snapdragon 632 chipset that is designed to support smooth gaming and a great experience for daily use. Redmi 7 features a 6.26″ HD+ Dot Drop display with 4-sided curved gradient design. In the imaging department, Redmi 7 has a 12MP rear camera with 1.25μm pixels sensor that produces higher quality images than other products in the same price range. With an upgraded 4000mAh battery and through system optimisations, Redmi 7 has a stand-by time of up to 400 hours. Redmi 7 is also equipped with an infrared sensor, so you can use it as a universal remote, compatible with a large number of home electronics and appliances. In order to ensure durability, Redmi 7 uses Corning Gorilla Glass 5 for its front display making it more resistant to scratches and breakage. Redmi 7 will be available in two versions. The 2GB+16GB version will retail for RM499 and the 3GB+32GB version will retail for RM599. Both variants will be available at Mi Stores, Lazada and Shopee on March 27, 2019 and will come in three colours; Comet Blue, Eclipse Black and Lunar Red.